World TimeZone Converter. Current Time in every Time Zone of the World. Time and World Time Zones. 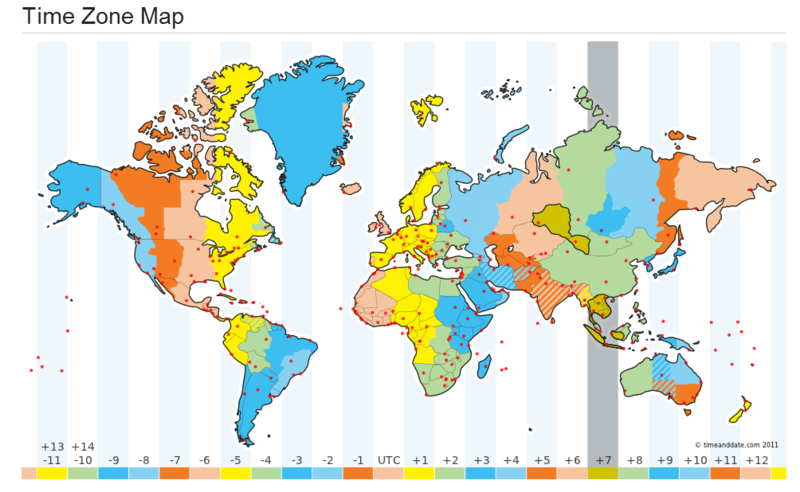 Time map with current time around the World and countries operating Daylight Savings Time.